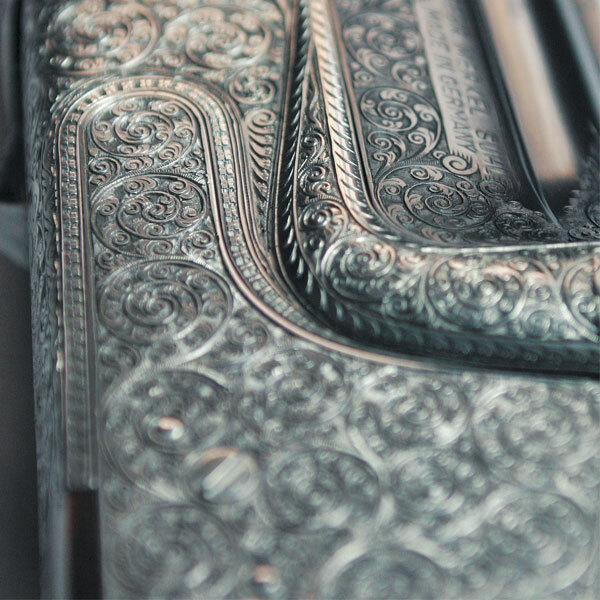 The engraver’s work on the hunting gun is where art and handcraft overlap. Merkel engravers have fashioned hundreds of classical patterns and found thousands of individual solutions since the company was founded. The Suhl nickname “German Damascus” is both a claim and an obligation of Merkel engravers. 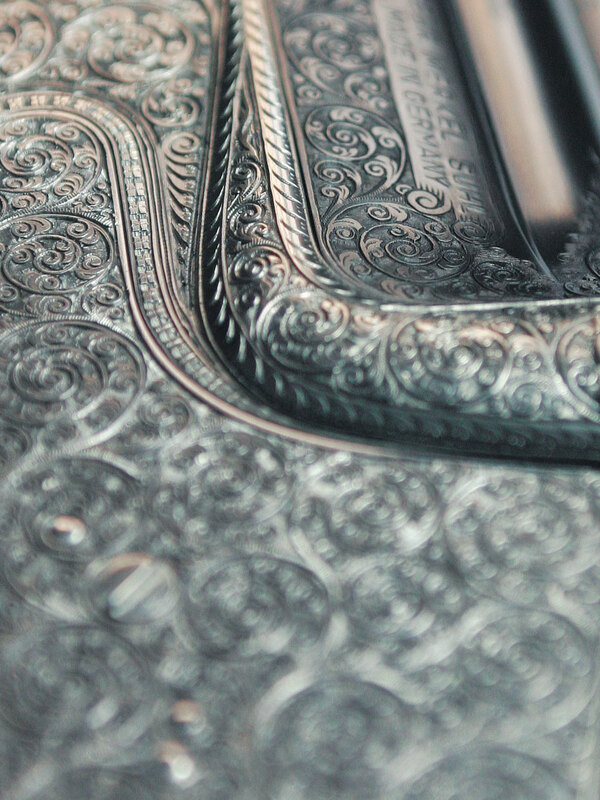 The artistry of its engravers is one of the great strengths of the Merkel manufactory. The animal or the nature motive on the hunting gun is a piece of hunting culture – it relates directly to the archaic cave drawings of the original hunters. It is both decoration and an invocation of hunting fortune. It also gives expression to the magic of the hunt. 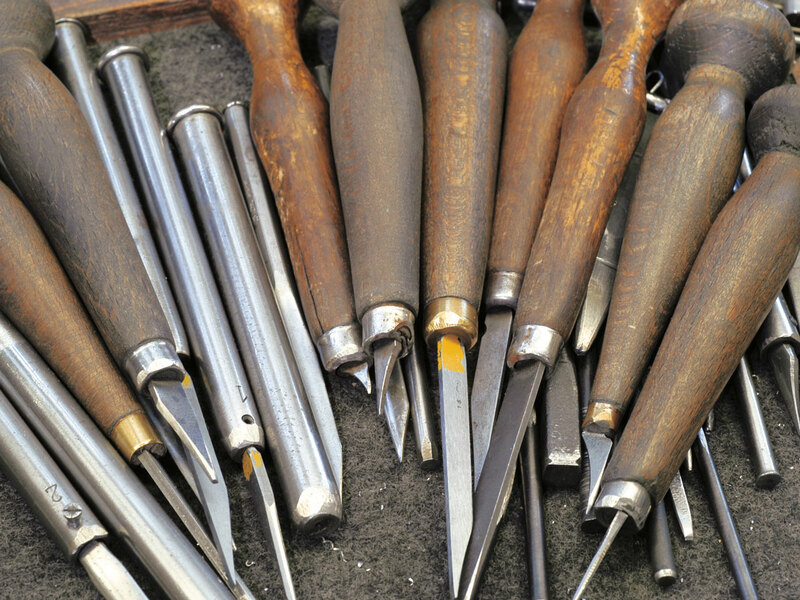 Merkel employs 6 engravers – each and every one a specialist in his trade. 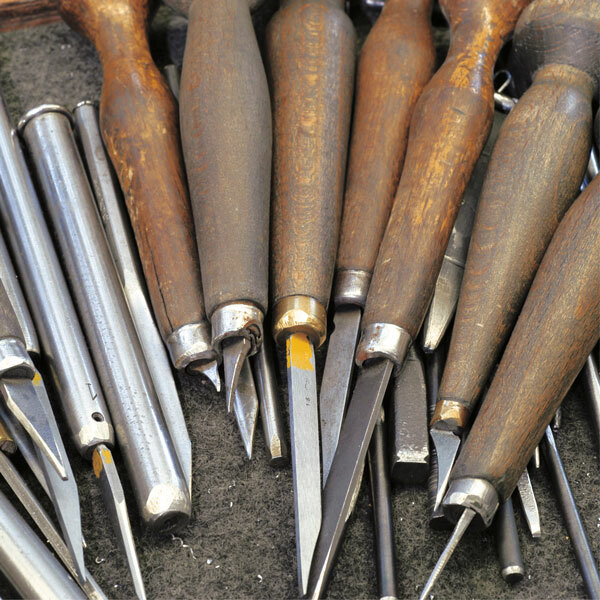 Engravers pass through a classical apprenticeship and then many years of vocational adjustment, until they are ready for all-round deployment in the manufactory. 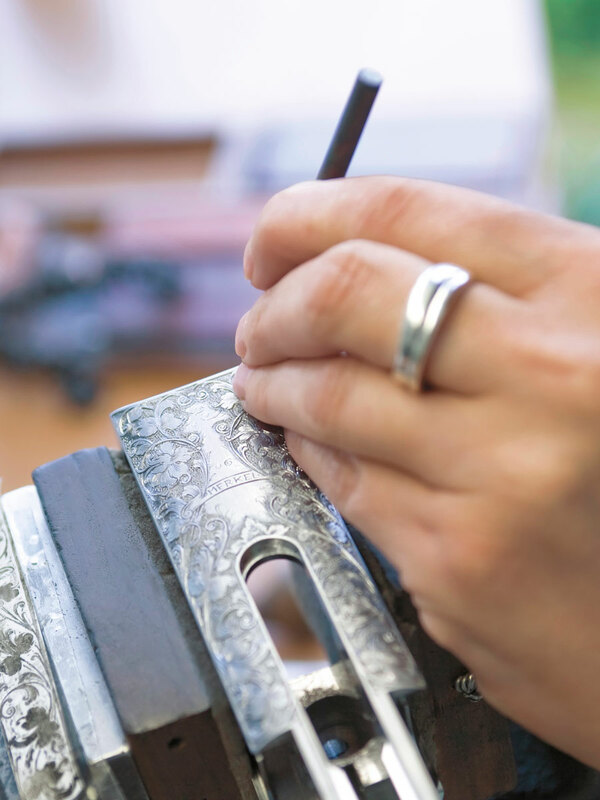 Nevertheless, every engraver is a specialist in his images – there are masters of arabesque patterns with stylised tendrils and masters of animal motives. They work on a rotating vice. 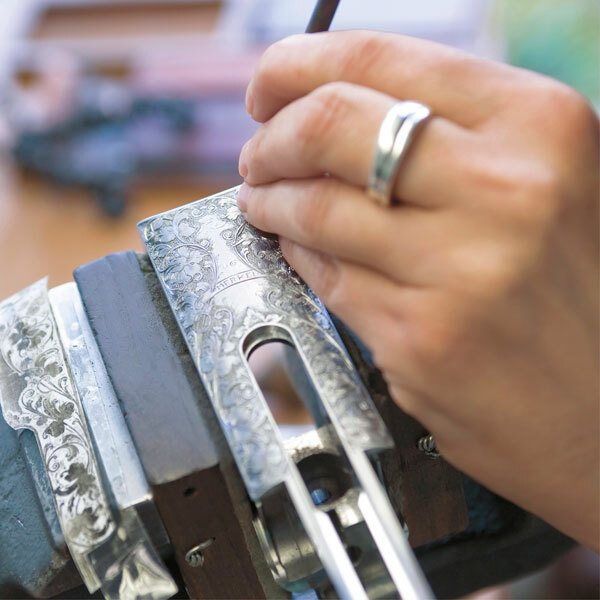 With graver, chisel and hammer they decorate the metal parts of the Merkel rifles with delicate filigree work. The artistry of the decoration is achieved by a combination of colour case hardening, engraving, stock carving and inlay work, right through to the hand engraved signature.